It’s day two of Blackout Poetry Week and I’m here to recognize some stellar student #blackoutpoets from Twitter and Instagram! 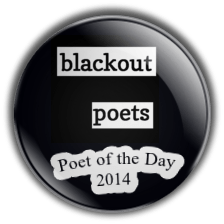 Don’t forget, every day Jason Stephenson and I will feature standout poems from those participating and I’m sure you will agree that these two poems are no exception. 6th grader, Gabby made a poem that is both beautiful & powerful! Way to go, Gabby! Unfortunately, this picture does not do Gabby’s work justice. Click on the picture for a better look! This next standout piece is by an 8th grade poet and comes from The Boy in the Striped Pajamas. Great job! 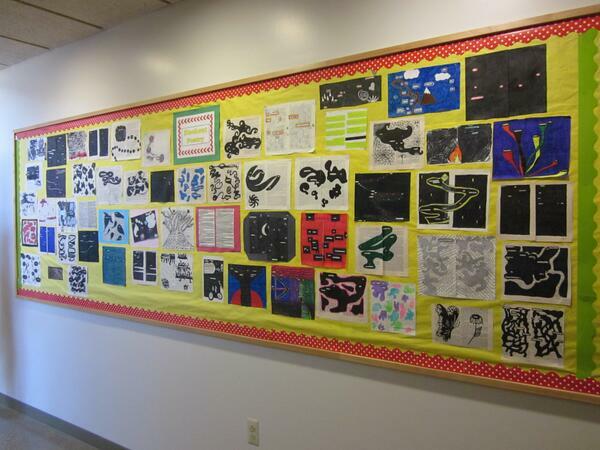 Lastly, I wanted to give a shout out to @CherylTeaches for her #blackoutpoets bulletin board! 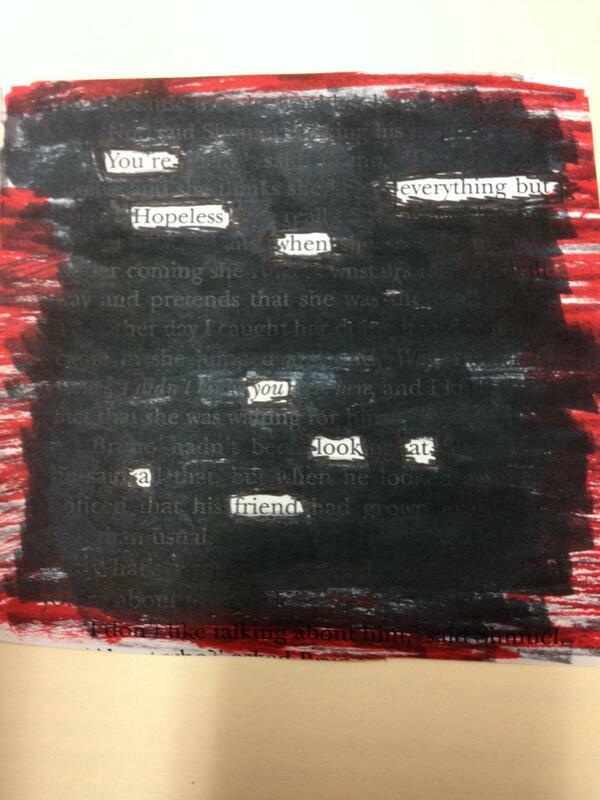 It looks like you have a lot of very talented and creative poets! Thanks for sharing! 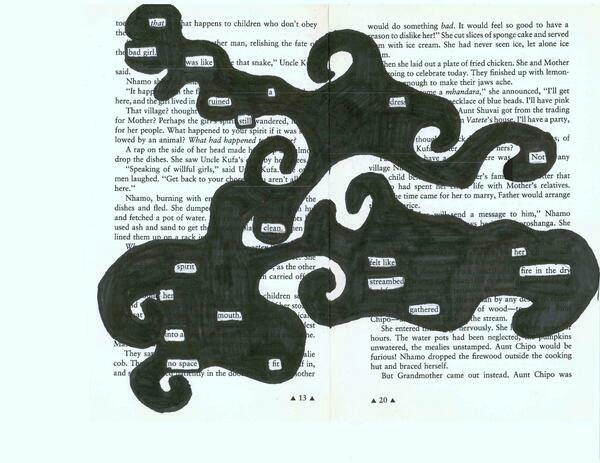 « It’s Blackout Poetry Week!